If you had reached this point in the High Road prior to 1920 you would have just continued your journey without care. This had changed by 1926 when the A127 was opened as a single carriageway giving improved access to Southend from London. 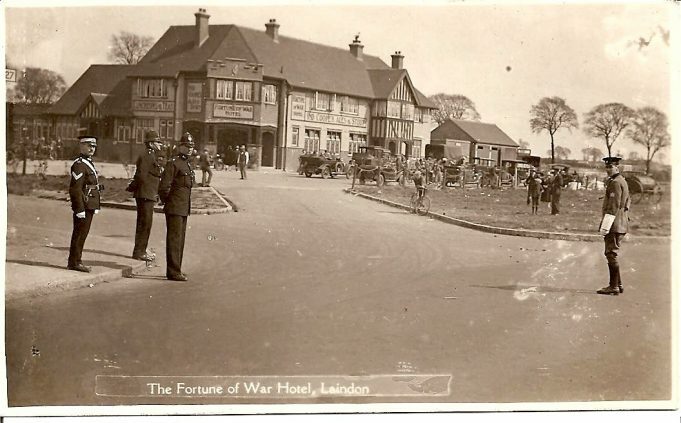 If you had looked left at the junction in 1928 you would have seen the New Fortune of War public house which was opened to take advantage of the trade the new road would bring. The next couple of photographs show the Fortune prior to 1933/34 when the A127 was duelled. This could well be on a weekend in the late twenties. The Police Officers, St Johns Ambulance Sargeant and the RAC patrol indicate that it was expected to be a busy day. There have been some changes to the facade and it has undergone some changes; we now have a sign put up. This was obviously a quieter day. 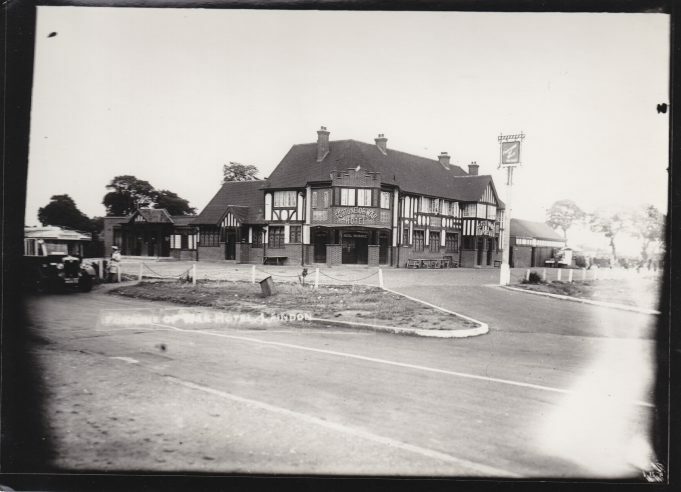 This is still prior to 1933/34 but the pub had now become the watering stop for the Charabanc trips to the seaside. Also electricity has come. After the A127 was duelled, the junction was changed to a roundabout which took on the name of the Fortune of War. The Fortune of War remained unchanged, apart from a brief change of name to the Hustler, as can be seen from the following photographs. 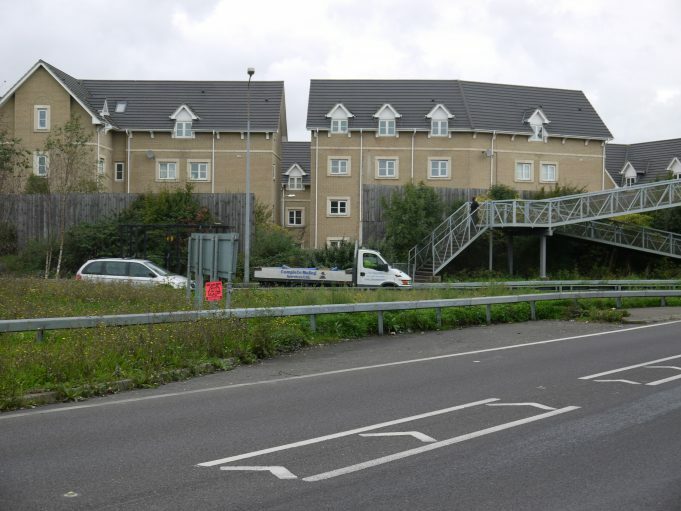 and as it looked before it was demolished in 2003 to make way for the flats. Anybody but myself remember the Fortune being renamed with all new signage for just 1 or 2 days in the sixties ? The pub was being a major part in an episode of “Z cars” but I can’t recall the name it was given for this. I do however recall the whole family trekking down there to watch the making of this film and then with all the many others being moved from place to place so that we would not be seen in the shot. A “Z car” came roaring into the car park, screeched to a halt and to the best of my recollection … That was it ! Lovely to see these old photos. 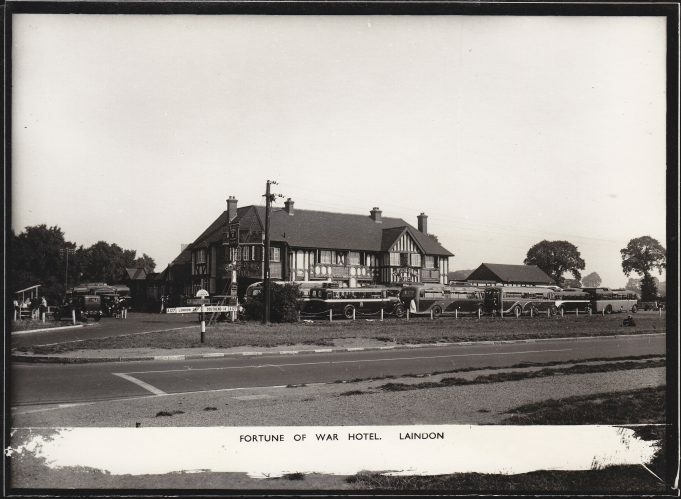 On still summer evenings when I was young we could hear revellers at the Fortune of War singing, the sound wafting over the fields in between the Fortune and us in Alexandra Road, Laindon. I was there the day they made an episode of “Z Cars”. The same scene was rehearsed again and again of characters getting off a coach, one of whom was ‘the worse for wear’. Hi Anne. I remember us waiting for that episode of ‘Z’ Cars to be shown on TV. We weren’t disappointed. The actor who played the ‘worse for wear’ person getting off a coach was David Andrews. I remember because that was the same name as the brother of one of my classmates. 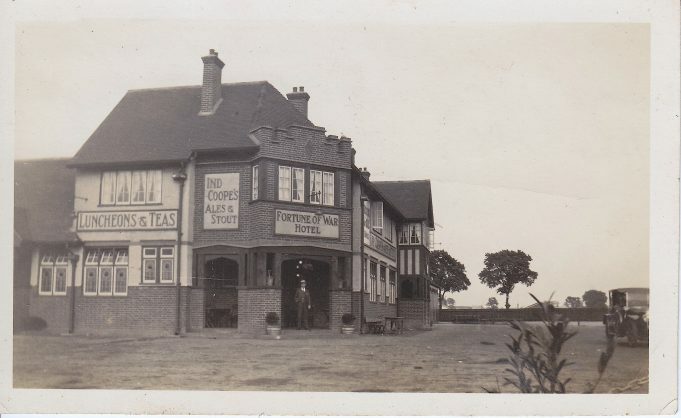 This pub was a refreshment stop for coaches going to Southend.